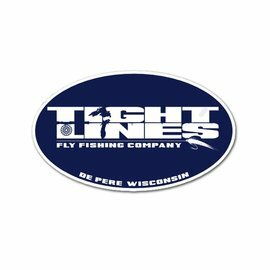 Tight Lines Logo Sticker - Tight Lines Fly Fishing Co.
9 inches X 2 1/4 inches. 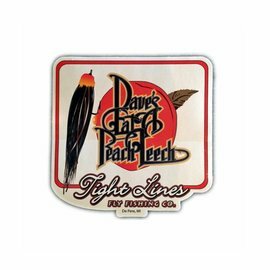 This is our best selling decal because it looks fantastic on about anything you own. 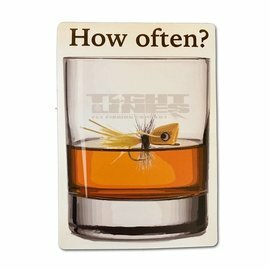 We have these made by our friends at Romo Durable graphics and its a sticker for life. 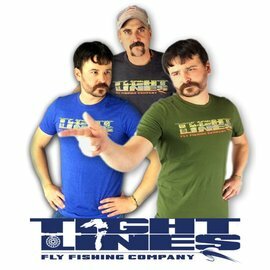 UV protection and the best adhesive on the market.